When it comes to healthy eating, it's better to think less "health" and more "habit." WASHINGTON — The nightly dinner table battle is no stranger to any parent. Sound familiar? (Yeah, me too.) These are the scenarios that sociologist Dina Rose hears all the time, and all this fighting over food is stressing families out. That is why Rose said it’s time for parents to take a different approach when it comes to feeding kids — and especially when it comes to pushing the peas (and carrots and kale). Rather than approaching mealtime like it’s just part of the schedule or a chore, Rose said to think about eating more like a lesson. Similar to reading or riding a bike, it’s something that’s learned, which means it takes time, repetition, reinforcement and patience. Instead of worrying if your child has met a nutritional quota for the day, (Did he eat all his fruit? Check. Leafy greens? Check. Fiber? Protein?) think bigger picture. 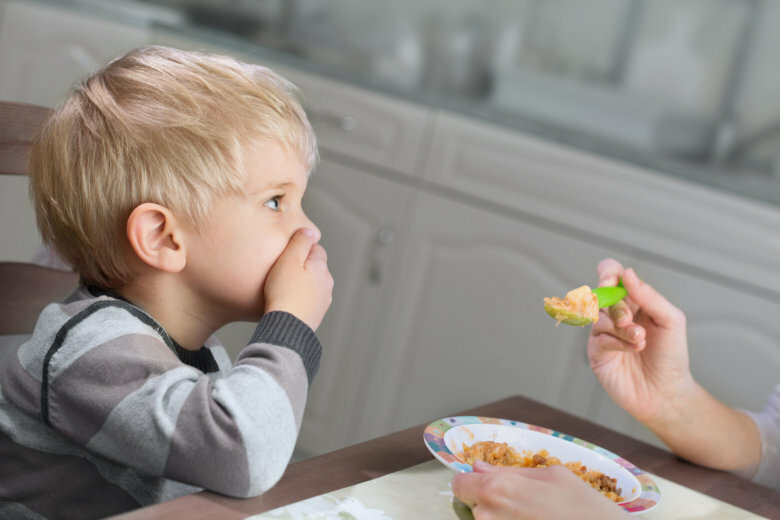 Exposing kids to a variety of foods early on and teaching them to recognize when they’re full and no longer hungry will serve them better in the long run than forcing those last “two bites” of broccoli. One way to teach variety is to not serve the same food two days in a row for meal or snack. “And say to your kid, ‘We’re not going to have the cheese stick for snack today because we had it yesterday.’ But then you have to add, ‘But we can have it again tomorrow if you still want it,’” Rose said. That last caveat lets the child know the food isn’t being taken away from them, completely. The next day, ask if they still want that cheese stick or if they want something else. Rose said offering choices gives a sense of power to the child, while also teaching them to eat a variety of foods. A common mistake is to pile fruits, veggies, whole grains and lean proteins on the plate. Rose said this can actually do more harm than good when it comes to healthy eating. “If they see a whole mound of food, that can make them back off and not eat any of it,” she said. Plus, it’s hard to know how hungry kids are when they come to the table. Maybe they had a big after-school snack; maybe they’re just having an off day. Forcing large portions could lead to overeating. Instead, Rose recommends putting two to three bites of each of the different items on the plate. If the chicken or pasta that you are serving is your child’s favorite, it’s natural for him to want to eat all of that first — sometimes even getting full before trying the other things on the plate. That is why Rose recommends a “one-one” rule. Teach your child to take a bite of one thing, then another, then another, going around the plate. “And the message that we want to teach them — and we have to say it out loud, we can’t just hope that they’ll intuit it — you need to eat a little bit of everything because you never know when you’re going to be full. If they’ve eaten a little bit of everything and still want a second helping of one item, go for it. Every parent wants his or her child to eat healthy, and everyone is trying. Instilling good eating habits is exactly that — a habit. Some dinners are great, some are not, but it’s the bigger picture that counts. Think of teaching eating just like you think of teaching manners. Enforce please and thank you, and enforce variety and proportion. “Everyone can learn to eat better than they’re currently eating. We just have to think about the world through (the child’s) eyes and ask ourselves, ‘What does this child need in order to learn the skill?’” Rose said. Her best piece of advice is to think about the way you want your child would eat when that child is all grown up. “And feed them that way now, or at least feed them in a way that’s consistent with that. Because we can’t feed kids one way when they’re little and expect them to grow up and eat another way,” she said.